A decision by China's Ministry of Commerce (MOFCOM) on Monday to launch an anti-dumping investigation into barley imports from Australia is in line with the WTO rules and the investigation should not be politicalized, an expert said on Monday. The probe, which comes as Chinese and Australian officials seek to mend a strained diplomatic relationship, has been described by some media reports in Australia as a politically motivated action by China to punish Australia for the latter's hostile stance against China on several issues. Any suggestion that China's "normal legitimate" trade investigation is politically motivated because of unstable diplomatic ties between China and Australia is not only wrong but "disrespectful" toward Chinese farmers," said Ma Wenfeng, a senior analyst at the Beijing Orient Agribusiness Consultancy, who also advises officials on agricultural policies. 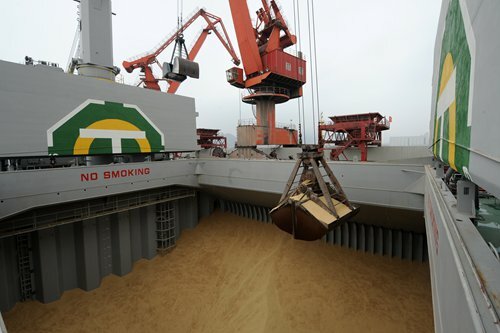 The MOFCOM said it would start a one-year investigation on Monday to determine whether Australian exporters dumped barley into the Chinese market at unfair prices between January 2014 and September 2018. The China Chamber of International Commerce (CCOIC), which filed the complaint with the MOFCOM, maintained that Australian barley growers and exporters, in order to gain control of the Chinese market, have dumped barley at unfairly low prices that "seriously disrupted market order and inflicted serious impact and damage on the domestic industry." Barley imports from Australia jumped 67.14 percent from 2014 to 6.48 million tons in 2017, while the average price fell 31.4 percent to $198.05 per ton, according to the CCOIC. Ma noted that while prices of Australian barley have been on the rise in recent months due to drought in main producing regions, there have been some periods when "they appear to be dumping." "Because of rising imports, Chinese farmers have been suffering - not only barley farmers but others as well," Ma said. "I think the [Chinese government] need to take more action to protect the interests of farmers in line with the WTO rules," he added. "It is laughable that when China takes action to protect its domestic interests against unfair practices, they think it's politically motivated. But when they do it, it's normal," Ma said.